- Experimental HL Cup #2 signups are now live here @ exp.rgl.gg. - Team rosters sizes are 18. Season 3 to start on May 27th. Good things come to those who wait, and Highlander’s been waiting a long time. Sixes has had ESEA from the beginning, our own Prolander league has been going for over a year with a prize pool, and even niche game modes like Arena Respawn and 4v4 have had tournaments with some meaty prize pools, all while HL’s continually taken on the thankless job of introducing new players to competitive. All of this is precisely why we’re so excited to unveil our next league: Recharge Gaming League Highlander, a Highlander by the players, for the players, with a consistent prize pool. It started 3 months ago when now-admins exa and Jacob reached out to sigafoo, disappointed with the status quo and looking for something better, for both themselves and HL players as a whole. Fast Forward (heh) to the present, and RGL-HL is aiming for a September 10th launch with many established teams new and old already showing interest. From the ancient kings Kids Next Door to relative newcomers Apolodosh, and some legacy names like Dedoris, Chill Penguins, and Fast Forward, competition is already shaping up to be fierce as teams look to grab a piece of the first NAHL prize pool in nearly half a decade. Details regarding season length, whitelist, and probable maps can all be found on the website and under registration, but there’s one thing we’re so happy to announce we’ll repeat here: the RGLHL inaugural season will be free for all! We’re committed to seeing this league grow and blossom over time, and believe that letting everyone experience our commitment firsthand will only do good things for RGL and its future. There’s a couple reasons for that. Part of it certainly the proven infrastructure that RGL has will allow us to create a successful, well-running HL league from the start without any of the road bumps some other leagues experience upon launch. There’s more to it than just convenience, though; Jacob says “I've been around the high level highlander scene for a very long time, and because of this I have a pretty good feel for individual talent, how the game is played, and what high level players want to see in their league. I want to make a league where the highest division is carefully cultivated and not necessarily the same as the other divisions, mainly due to the game being played very differently depending on the skill levels of the teams. I also wanted something other than a medal as a reward, I think highlander is slowing down in terms of people having any desire to improve or come up with a new meta to overtake the current one, and an incentive in the form of a prizepool may turn that around.” Additionally, you can’t make a league without teams either, and Apolodosh leader Arzt has come out early saying that “If I was a player, I’d rather play in a league that doesn’t enable cheaters,” referring to the strict anti-cheat policy that RGL has. On making the switch to RGL Highlander, longtime heavy veteran Paals says “As the leader of Chill Penguins, I'm extremely excited to be a part of a league that is changing how competitive TF2 is being played in a brand new league for Highlander. I'm hoping this renews interest in HL and our passionate playerbase, as we will for sure be upping our game to compete against the best of the best for a chance at the prize.” And of course, none of this would be possible without sigafoo, providing that all-important infrastructure and helping get the league off the ground. 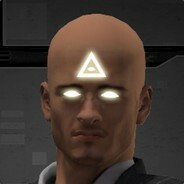 “Highlander is the format that got me into TF2 on a competitive level. Though I've moved on to Prolander,” sigafoo was quoted saying, “I believe that Highlander players deserve a place to play that is well administered, on a modern website with a prize pool. The things I always wish I had when I played Highlander back in the day. Highlander had the largest competitive playerbase for the majority of comp TF2s life, but no one stepped up to help take it to the next level. That's what Jacob and exa plan to do and I look forward to a league ran by the players, for the players."